As the bride, it’s very important to make sure that the look for your special day is a direct reflection of your personality. Whether you’re a risktaker, creative soul or classic, color-in-the-lines type of girl, this spirit should exude as you walk down the aisle. One of the ways to bring out your personality is through the use of different headpieces. Consider these options and see if they pique your interest. A beret is a stylish French hat that many Parisians fashionably wear during the cooler months. If your wedding will be during the fall or winter season, a bridal beret is insanely chic option to wear on your wedding day. Cream, white and taupe are perfect colors for a bridal look. If you want to add a bit more flair, consider finding an embroiderer to add pearls, feathers or brooches. While you won’t be the first bride to wear a beret, it’s a more unconventional option. Thus, making it even more fabulous. When most women think of a pillbox hat, they automatically picture Jackie Kennedy Onassis. She was one of the women who popularly wore this stylish hat. Though it was really popular in the 1960s and 1970s, it’s still a great classic option to consider. For a gorgeous wedding look, you can pay homage to the classic bridal style of years past and walk down the aisle as a retro bride. Bridal fascinators are definitely on the list of timeless headpieces. Choose bridal fascinators that come with birdcage netting. This will give you the small veil that covers the face. A headband fascinator is easy to customize. Add a few accent beads or flowers that match the wedding color scheme for a lovely and cohesive look. Overall, each piece gives you the opportunity to step outside of the box and have fun with your wedding look. 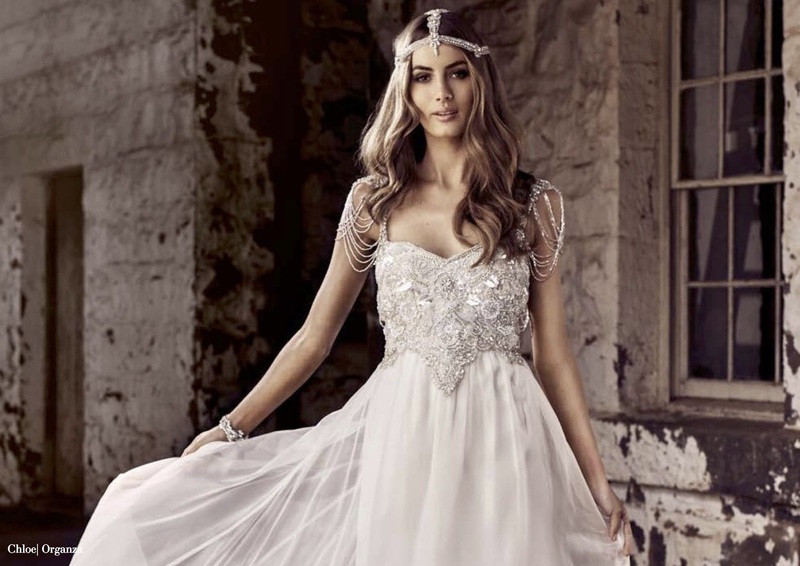 Make sure the headpiece matches the designer wedding dress in Columbus you end up choosing. It’s also great to consider other accessories that’ll take the look to the next level. If you’re wearing a beret, consider draping a plush over shoulders. If you’re wearing the pillbox hat, a sweetheart neckline will be extremely flattering. Mix and match, but don’t be afraid to experiment. After all, it is your big day.